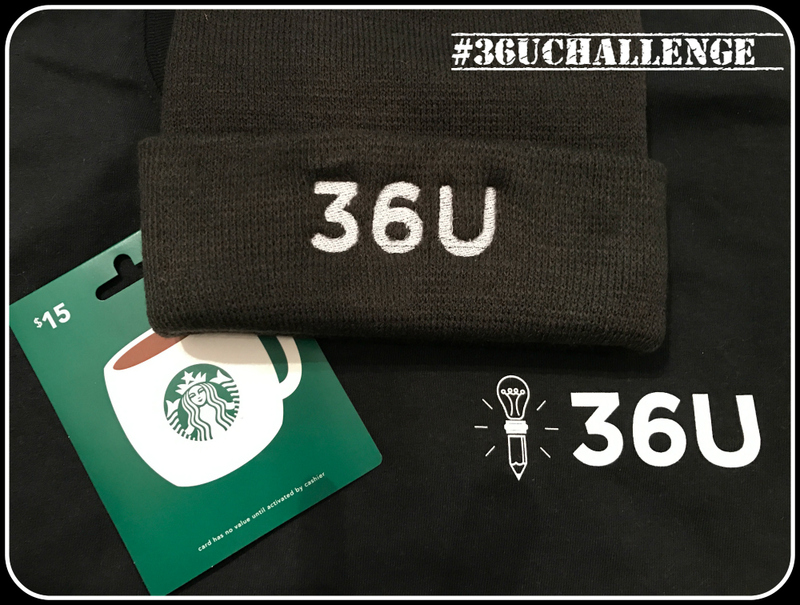 We want thank all who attempted the January 2017 Math Challenge. We hope you enjoyed and learned from the problem. 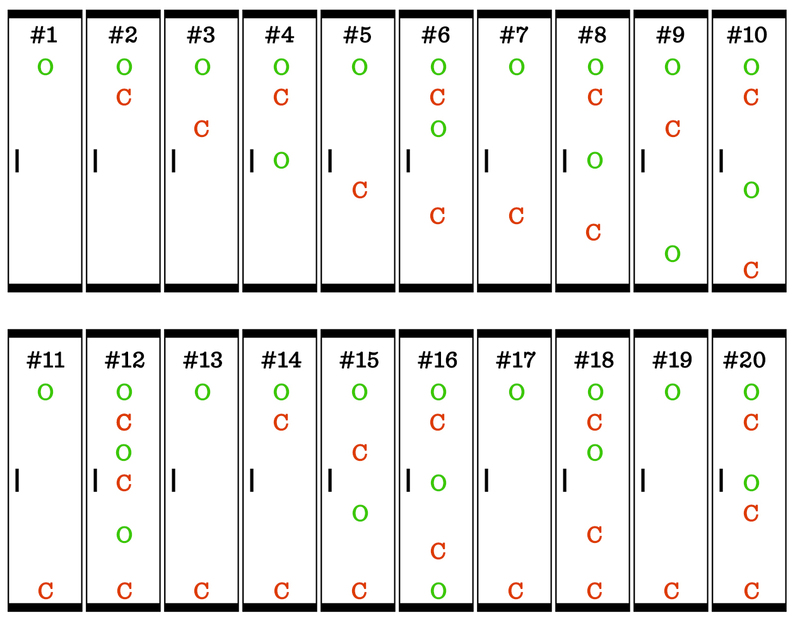 As many of you found, the perfect square lockers (#s 1, 4, 9, 16, 25, 36, 49, 64, 81, and 100) are the only lockers left open. Cool, huh? Start with just 20 lockers and try to find a pattern. We used a code: O = Open, C = Closed. Here’s what the lockers look like after the first student walks through. They are all open. And here’s how it looks after the first 20 students have walked the row of lockers. Note: after student 20 has gone, the first 20 lockers aren’t touched again. 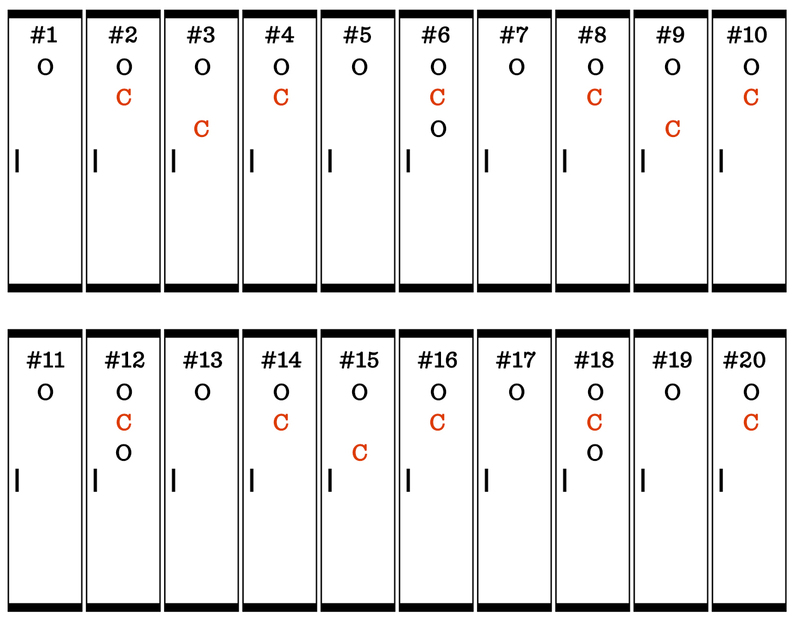 Of the first 20 lockers, locker #s 1, 4, 9, and 16 are left open. Those are perfect squares. 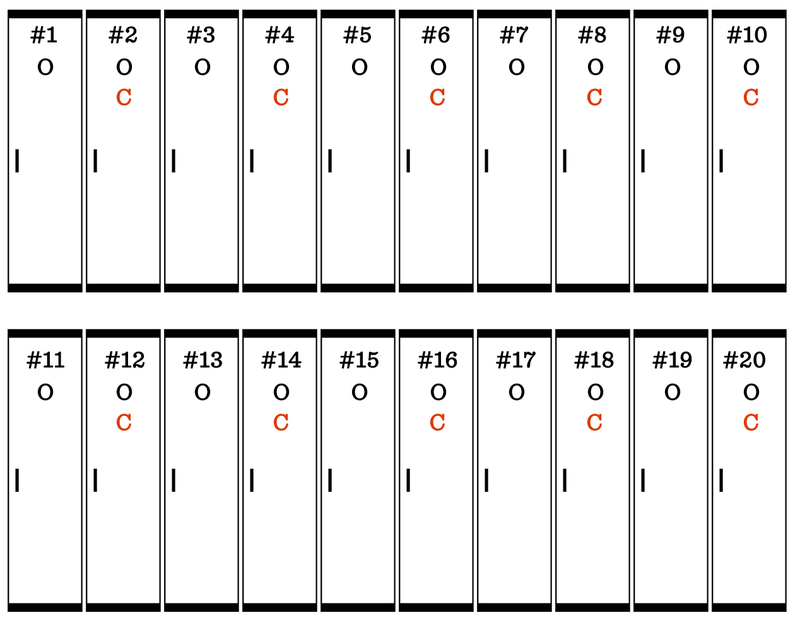 You can extend that pattern to identify the remaining open lockers. Lockers 1, 4, 9, 16, 25, 36, 49, 64, 81, and 100 are left open! 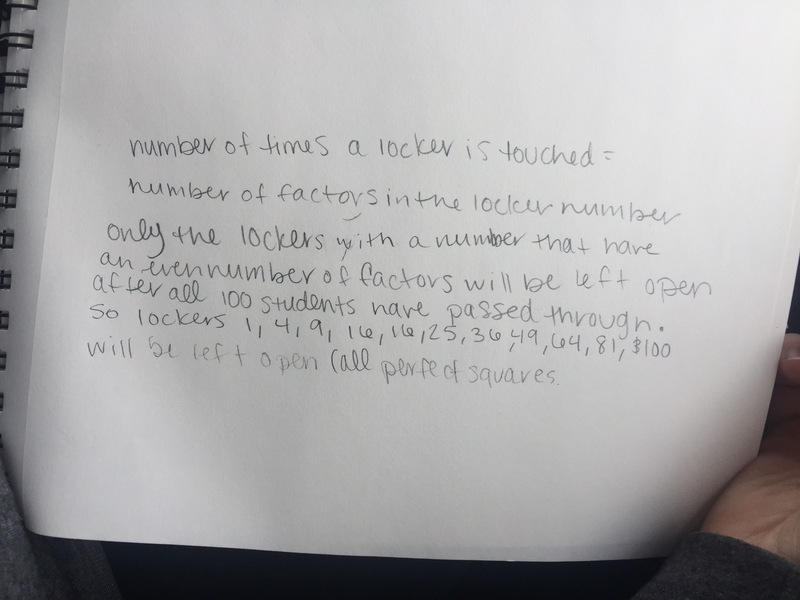 Identifying which students touch which lockers is a little less of a brute-force approach and would likely have gotten you to the solution a little more quickly. Consider locker #1. The only student who touches locker #1 is student #1. Student 1 opens the locker, and since no one else touches it, it will be left open at the end. Consider locker #2. Student 1 opens the locker, and student 2 closes it. No one else touches the locker, so it will be closed. Consider locker #10. Students 1 opens the locker. Student 2 closes it. Students 3 and 4 skip right by it. Student 5 opens it. Students 6, 7, 8, and 9 skip right by it. And student 10 closes it. Locker #10 will be closed. 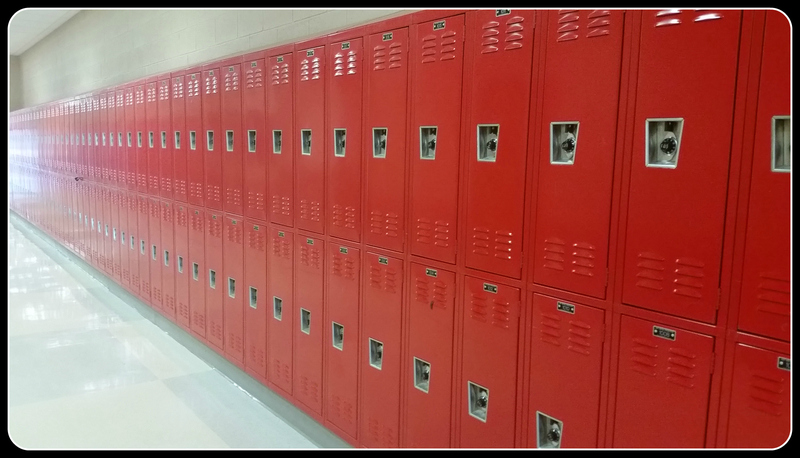 Mental Milestone 1: After looking at several lockers, you should notice that lockers are only changed by student numbers that are factors of the locker number. In other words, locker 12 is changed by students 1, 2, 3, 4, 6, and 12. Mental Milestone 2: You should also have noticed that factors always come in pairs. This means that for every student who opens a locker, there is another student who closes it. 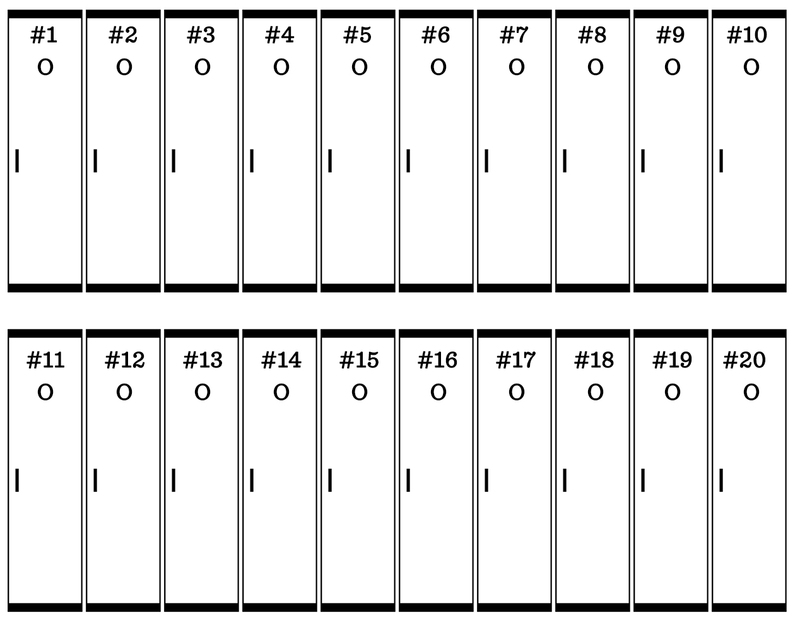 For locker #12, student 1 opens it, but student 12 closes it later. Student 2 opens it, but student 6 closes it later. Student 3 opens it, but student 4 closes it later. By this logic, every locker would be closed. Consider locker #25. Student 1 opens it. Student 5 closes it. Student 25 opens it. The locker will be left open, but why? In this case, the factors do not come in pairs. One and 25 are a pair, but five times five is also 25. Five only counts as one factor. This causes the open-close pattern to be thrown off. Locker #25 is left open. Mental Milestone 3: When factors don’t come in pairs, the locker will be left open. And factors don’t come in pairs when numbers are multiplied by themselves. Perfect squares (1, 4, 9, 16, 25, 36, 49, 64, 81, 100,…) are the only numbers whose factors don’t come in pairs because one set of factors, the square root, is multiplied by itself. This means that only perfect square lockers will be left open. Locker #s 1, 4, 9, 16, 25, 36, 49, 64, 81, and 100 are left open!